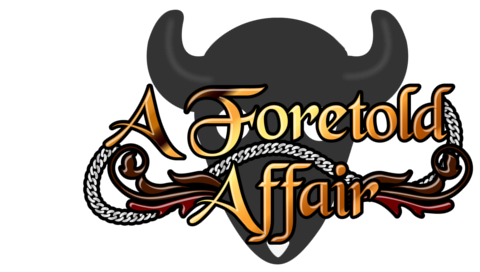 A Foretold Affair is a steampunk-fantasy Visual Novel being developed by GB Patch Games. The project features one long journey with variations based on the player’s choices. Unable to be swayed, Seer finally gains permission to look into their own future, only to receive an unbelievable revelation. Not only have they left Abnormal society, they’re married to someone they’ve never met before. With visions of happiness in their mind, Seer leaves everything behind and ventures to the part of the land fraction where those without magic live: Normal society. Seer is going to convince this stranger that they are meant to be together no matter what it takes, even if it means tagging along on an adventure. Set in a chaotic fantasy world where two cities are at war while the largest, and most industrially strong city, Therant, is maintaining a neutral presence in the lands of Charmarion. You will be submerged into a dank universe where technology and knighthood clash to make ends meet. One man’s way of life is going to change the world they live in drastically. Phoebe Darqueling is an aspiring novelist and Steampunk blogger living in Michigan. Check out her blog for more Steampunk fun!